The UK currency is the pound sterling (£/GBP)and there are 100 pence (p) to the pound (£). 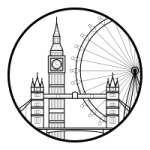 There are numerous bureaux de change in London – often located inside banks, travel agents or Post Offices, as well as at London’s airports and major train stations. Credit and debit (bank) cards – especially Visa and Mastercard, American Express and Diners Club cards – are widely accepted. Contactless cards are widely used in the UK and many businesses accept them as payment, up to a limit of £30 per transaction. Travellers can use a contactless card instead of an Oyster card when using public transport in London. Also, There are plenty of cash machines (also known as cashpoints or ATMs) dotted around London. UK appliances are fitted with three-pin plugs that can be connected to the UK mains supply through wall sockets. Unlike the sockets in many other countries, these have a switch to turn the power supply on and off – make sure you’ve turned it on if you’re trying to charge your appliance! UK power sockets deliver an average voltage of 230v, although in practice this can be slightly higher. If you are taking prescription medication, we recommend that you bring enough to last your entire trip.For prescription medicines a letter from a healthcare practitioner may be useful or essential requirement. Normally a foreign visitor should apply for a United Kingdom Visa to enter London. Following the UK’s decision to leave the European Union, visa-free travel to and from the UK is still in place for EEA and Swiss citizens until 29 March 2019. If a withdrawal agreement is reached between the UK and EU, visa-free travel for short visits is likely to continue for the immediate future. London’s iconic double-decker buses are a quick, convenient and cheap way to travel around the city, with plenty of sightseeing opportunities along the way. The London Underground rail network, or “the Tube” is a great way to travel to and from central London and will be an integral part of most people’s stay in the UK capital. London’s innovative, driverless Docklands Light Railway (DLR) serves parts of East and South East London. Travelling by river is a great way to get around London. You’ll beat the traffic and enjoy fantastic views of London along the way. Use London’s Overground train network to travel across the city and beyond the Tube. London’s public bicycle scheme is a great way to travel around the city – and the first half hour is free! Grab yourself a bike and get riding today. From iconic London black cabs to local minicabs, we’ve got all the traveller information you need to help you travel around London by taxi. Take a ride on London’s cable car, for views over Greenwich and East London, including The O2, Cutty Sark and Queen Elizabeth Olympic Park.